Quest Communications Ltd. is proud to be the authorized Panasonic service center in Victoria, British Columbia. Panasonic is recognized as an industry leading manufacturer of professional office products and we provide service, sales, repair and advice on all of your office requirements. 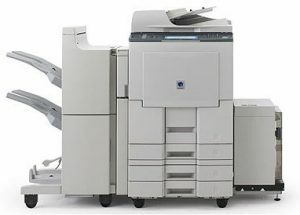 Our experienced technicians provide expert service and repair for all other brands of office equipment as well. Our service area covers from Victoria to Nanaimo and everywhere in between. Call our Quest line: 250 388 3759 and we will be pleased to offer same day service in most instances. We have closed down the majority of this side of the business and are no longer working on printers and fax machines. The products we service and repair include: Microwaves. We do still offer printer toner for all makes of office machines. For toner supplies call or complete our online order form and our staff will contact you with a quote and delivery time.